Blog If I am injured in a hit and run, can I still bring a personal injury claim? 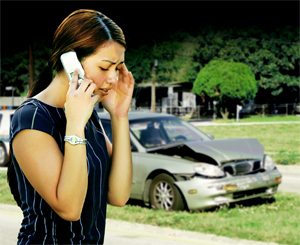 If I am injured in a hit and run, can I still bring a personal injury claim? It is far too common an occurrence: a driver causes an accident, then flees the scene. Initially, it might seem that this precludes a personal injury claim, because the identity of the driver is unknown. However, the Insurance (Vehicle) Act includes a “hit and run” provision (s. 24) that allows an injured party to bring a claim that will be defended by ICBC. Then if the driver or owner of the vehicle is subsequently identified, he/she can be added as a defendant. Section 24 applies where the injury or damage arose out of the “use or operation of a motor vehicle” on a ‘highway’ in BC. Here ‘highway’ has a very broad definition that encompasses almost any public road, as well as a private parking lot: 0724969 B.C. Ltd. v. ICBC, 2010 BCSC 662. Also, while s. 24 only applies to hit and run accidents in BC, the Regulation has a provision (s. 148) for hit and run accidents in the United States, Yukon, NWT or Nunavut. Hit and run accidents in other Canadian provinces would presumably be covered by the relevant statutes in those provinces. However, in order to maintain a s. 24 claim, the plaintiff must investigate the identity of the driver and owner of the liable vehicle as resolutely and resourcefully as if he or she intended to pursue an action against those persons: Leggett v. ICBC (1992), 72 B.C.L.R. (2d) 201 (C.A.). This means that if you are injured in a car accident, you should try to identify the driver and/or vehicle at the scene, if possible. If you couldn’t get this information at the scene, you are still required to investigate. If you don’t have the time or ability to investigate, you should consider retaining a lawyer to handle the investigation for you. Additionally, there are a number of time limits for a s. 24 claim. For example, the plaintiff must provide written notice of the accident to ICBC as soon as reasonably practicable, and claims have been rejected for a delay as short as two months: Stanley v. ICBC, 2004 BCSC 1697. Also, if the plaintiff seeks to claim compensation for vehicle damage, s. 107 the Regulation requires that a police report must be filed within 48 hours. Even shorter time limits may apply for hit and run accidents outside BC. If you are the victim of a hit and run, but you missed these deadlines, you may still have a claim, but you should definitely seek legal advice.